If you look up the ratings on Rotten Tomatoes for the DCEU, prepare yourself. Really, it’s not all that pretty. All of the films rank well under 60% to clinch a ‘rotten rating’ with Batman v Superman: Dawn of Justice sitting at 27%. Even the much-anticipated Suicide Squad has earned at 34% rating, and frankly, fans are fed up with the site’s reporting. 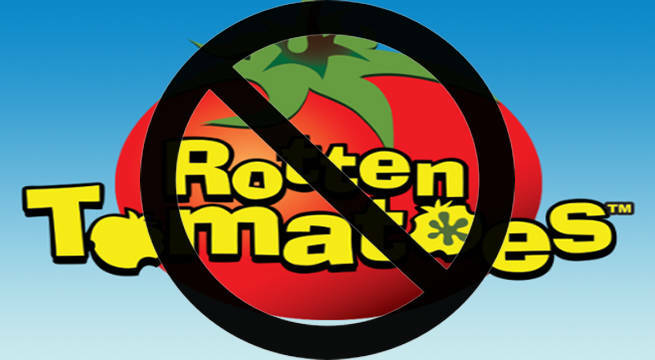 In fact, they’re so fed up that they’ve started a petition to make Rotten Tomatoes shut down. Should you scroll down to read comments left on the petition, fans have flooded them with their sympathetic views. Many agree the site does offer biased reviews for DC’ films and think it's pathetic that people would try to intentionally make the studio's cinematic universe fail. Other fans reference Marvel Studios and their films’ higher ratings, insisting the difference is due to Hollywood’s double-standards. However, it looks as if some of these fans aren't quite sure of how Rotten Tomatoes work. As the website only aggregates externally published reviews to create its ratings, Rotten Tomatoes doesn’t actually award frivolous reviews on their own. To put it simply, the just do the math based on other outsourced reviews. But, of course, there are fan who’re accusing the site of selectively collecting certain reviews that further their ‘diabolical’ plot to ruin the DCEU. Many movie-goers, however, usually just ignore the site’s critical ratings and only care about the film's audience score. As that specific ranking is created by fans’ reviews, the rating is a more approachable number to digest. And, if you look at the DCEU's audience scores, fans can see their films all have ratings at or above 65%. So, hey - that's awesome!